What is there to see in the capital of one of the most powerful and influential countries in the world? 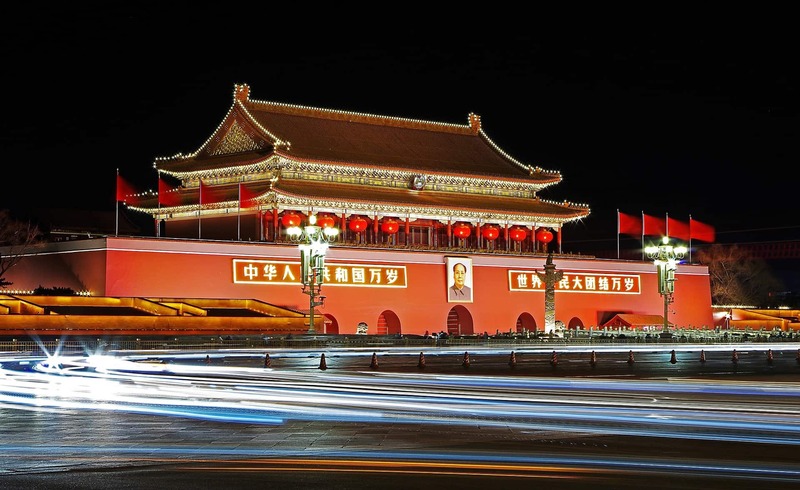 Beijing historical city nestled within booming and bustling metropolises. The Beijing itself has become modernized in a way, which has become points of controversy in past decades. But as this once protected and guarded territory opens its doors to the world, it’s now easier to learn more about the history and heritage of China. Even the city that today, bears the name ‘Forbidden,’ can now be explored by those who want to revel in the distant and influential past. With so many attraction and features, it’s easy to get overwhelmed. Not to worry, as there are only a few things and places that you really should prioritize during your trip to Beijing. 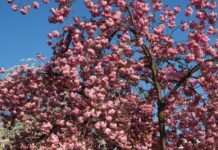 Here is a list of them that you can use as a guide for your next trip. 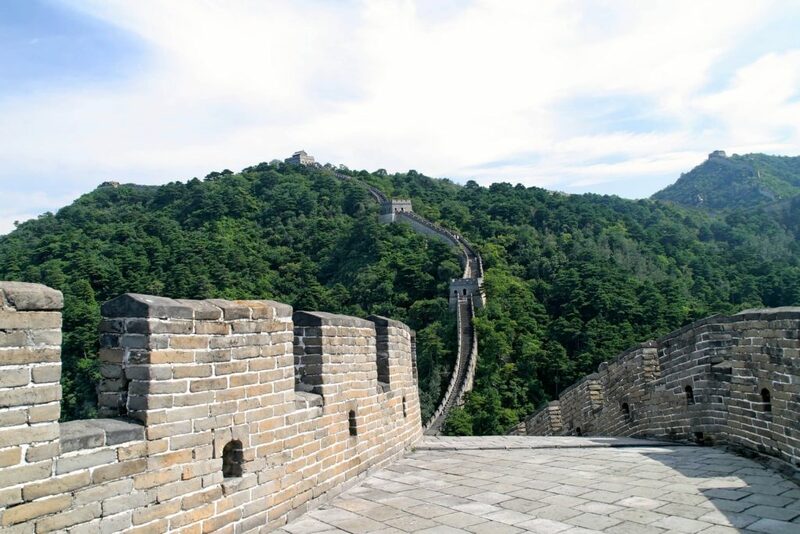 Practically no visit to China is complete without visiting the Great Wall. This iconic structure, which stretches around 13, 171 miles, is a historic monument of epic proportions. It’s one of the first, if not the very first, of its kind that was built to protect the city of Beijing from invaders and enemies. Today, it stands as a testament to the wisdom, courage, and integrity of the Ancient Chinese dynasties. The wall itself has become a symbol of welcoming different cultures to China, which, ironically, is the opposite of its primary purpose in the past. With a name as enticing and inviting as the “Forbidden City,” it’d be a shame if you don’t explore it while you’re in Beijing. The once heavily-guarded complex od ancient Chinese palaces, halls, and temples now stand as relics of a historic past. Most of what was featured centuries ago can still be found today, preserved and maintained for present and future generations to see. Some sites, such as the Gate of Heavenly Peace, even educate tourists on how religion was like during the country’s tumultuous past. With how Beijing is now, it’s also difficult to find a spot where you can just relax, maybe even meditate, and find peace. But one such site is arguably one of the most beautiful attractions in the entire city. In the northwestern corner of the capital stands Yiheyuan, also known as the Summer Palace. This was where the emperors of Ancient China fled to when they want to get away from their kingdom’s troubles. You can also relax here for a bit, immerse yourself in the stunning architecture, and regenerate before going on another adventure in Beijing. Although the historical sites are what usually most tourists in Beijing go for, it’s a shame if you miss the contemporary greatness that makes up the capital now. If you want to see the beauty of today’s artists, go to 798 Arts District. Here, you can find the works of modern artists, with all their creative glory, displayed all the world to see, You can also stop by for a nice cup of coffee or a music session to ease up your trip a bit. Beyond that are all the tracks, fields, courts, and pools that famous athletes set records in and won their respective medals. That time will forever be cherished by the locals here in Beijing, and you can revisit all that sporting greatness when you visit this park. Near the “Forbidden City,” you will find Beihai Park. This man-made structure boasts one of the most beautiful and biggest public lakes in the country, as well as eye-catching temples, bridges, and sculptures. A common pastime when people go here to rent a boat and paddle on the lake, taking in all the peace and quiet that can be found in the middle of the body of water. But if you’re not up for that, you can still stroll through the amazing sites that make up this wonderful park. Beijing is such a large and vast city that going around it can prove to be quite challenging. It’s worse when the traffic is bad or the subway is too full. Fortunately, there’s another mode of transportation that’s easy, affordable, and is a mode of exercise: cycling. “Bike Beijing” offers tourists and locals rentals for the day so you can bike around the city with ease. You can avoid heavy traffic and tight trains when you choose to travel via a bike ride. Confucious is one of the most influential and important historical figures of China. Even people from different countries have heard about him, even when many of them haven’t been to China themselves. When you’re in Beijing, pay homage to this iconic figure by visiting his temple, which was built in 1302. This centuries-old site has all sorts of sculptures, scriptures, and educational texts that detail the history and significance of the famous icon. You’ll understand the Chinese more when you explore this site. Any trip to Asia isn’t complete without a little shopping! And at Beijing, the best place for this is arguably at Panjiayuan Antiques Market. Here, about 3,000 stalls sell all sorts of antiques, Chinese memorabilia, artwork, knick-knacks, and more! You do, however, need to haggle a lot, as some merchants might trick you into buying a piece that’s way too expensive. But for those treasures that you buy fairly, these will be items that you’d cherish forever and will remind you of your exciting visit to Beijing. The dragon is a special and important creature in Chinese culture and mythology and did you know that you can ride on in Beijing? At the north of Beijing, Longqing Gorge is the country’s largest dam, which is also a tourist spot for families. It’s most famous feature is the Dragon-shaped escalator—the outdoor escalator in the world. Stretching 258 meters long, the feature takes you to the top of the gorge, where you can do all sorts of fun activities. Ride a cable car going down from the gorge, go on a boat ride at their artificial lake, or take a heart-pumping bungee jump! The Great Wall of China may be the country’s most famous site, but it’s also the most exhausting to explore. At 13, 171 miles of a stretch, you’ll need more than a week to discover the entirety of the former blockade. And when you’ve seen enough, it’s just as tiring going down the site, at times, even more so than when you climbed it up prior. However, there is a way in which you can go back to the base in a much faster and more thrilling way. You can zoom down the Great Wall of China by riding down the slide at the wall’s Mutianyu section. Hop on a toboggan and enjoy zig-zagging across the famous monument as you slide down to where you first started. Of all the food China is famous for, who knew that they gave reverence to watermelon so much? 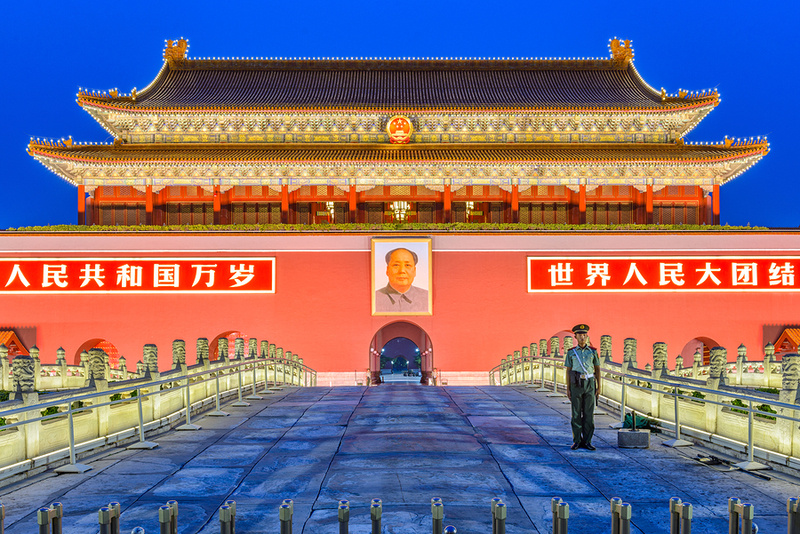 In fact, they even have an entire museum for it in Beijing, the country’s capital. This unique space tells you all you need and might want to know about the watery fruit, from its early beginnings in Africa to the many dishes with which you can incorporate the fruit. Unfortunately, the exhibits have no English translations and subtitles so you’ll need a translator tour guide to tell you all the valuable information you need and want to know when you visit here. Who else loves the hit TV sitcom “Friends?” The Chinese certainly do, and they love it so much that they recreated the show’s iconic “Central Perk” cafe in the heart of the country’s capital. Their rendition of the set is so close tot he actually shows that you’d feel as if you’re really in the character’s world. From the windows and color scheme to how the furniture was placed and set up, fans of the show will recognize this cafe all too clearly. Next, to it, you can also visit a replica of Joey’s apartment as well, complete with the famous barcaloungers, broken fridge, and more! Did you ever want to visit the whole world all at once? While this may sound impossible, you actually can do this by visiting Bejing’s famous World Park. Here, all sorts of iconic monuments, famous landscapes, and specific architectures allow you to experience the wonders of the world all at once. One moment, you’re taking a picture by the Statue of Liberty, and the next, you’re taking a load off near the Eiffel Tower. It’s a fun, educational, and joyful park to simply marvel at all that makes the world a great place to live in. Destination Club is one of the most famous nightlife hotspots in Beijing for a number of reasons. Firstly, it’s a progressive haven for the country’s LGBT community, and since China is more or less a conservative nation, this means a lot. Second, it’s one of the very few nightclubs, possibly the only one for now, that has an HIV-testing center. Visitors, no matter what sexual orientation they are, are encouraged to test themselves when they drop by. Another reason to see this beloved establishment is its art gallery, full of works for both classic and contemporary artists. Experience the exciting nightlife of Beijing by going to Destination Club! Although most Chinese people are Buddhists, there are some that also practice the Christian faith and it’s evident by the very few churches scattered about in the country. In Beijing, you can visit the oldest church in the country: the Cathedral of the Immaculate Conception. This shrine is not only the House of God, but it’s also a testament to the strength of Christian faith. Having been built over 400 years ago, several emperors, rulers, conquerors, and more have attempted to destroy this place of worship, but to this day, it still stands and serves the Catholic church. If you’re a Christian yourself, this is one of the extremely few places where you can hear mass on Sunday. When you think of Disneyland, you’d expect cute cartoon characters, exciting rides, and colorful features all day long. But in China, their own version, or at least attempt at copying Disneyland, is far from its Western counterpart. Called “Wonderland,” it’s now a destitute wasteland of what could have been or even might have been a fun theme park for kids and families. Most of what used to be there are now relics of its joyful past—broken down castles, skeletons of carnival rides, and the like. It’s a stunning and unsettling reminder that not everything, even the most joyous of places, lasts forever. When a place is referred to as the “Underground Great Wall,” you know you’d have to check it out! Many eons ago, there came a point in China wherein the people were paranoid about what might happen when a nuclear war breaks out. As a response, the capital created—or at least attempted to create— a comfortable and protected city underground known as Dixie Cheng. Here, you can see what life was like in communist China, as well as how they tried to make a whole city underground so that they’d all stay protected from nuclear explosions. The place looks bleak and deserted, all the more reason to check it out for yourself! Although you can order Chinese food just about anywhere in this world. There’s nothing like eating the authentic dish where it originated. In Beijing, you’ll see countless restaurants all serving the food that you’ve often had as take-out—egg rolls, fried rice, noodles, cold cuts, and especially, pecking duck! This particular savory main dish is all too common in the capital, and various establishments try to outdo each other into serving the best pecking duck in town. In fact, some of the oldest and ancient recipes of the said dish are used in many of the eateries serving here. You’d get to taste the kind of pecking duck that the emperors used to eat centuries ago! There’s a type of entertainment performed in Beijing that you really must see for yourself—Peking Opera. Its most famous house, Zhengyici, is the go-to theater to watching this unique operatic experience! How you watch it is already a memorable experience in of itself. Once you enter the theater, which is extremely intimate, you get to see all the performers, wherever you’re positioned within the space, up close. Then, you’re treated to a colorful spectacle of high-pitched singing, extravagant costumes, and ancient stories of love, tragedy, and triumph. Peking Opera is arguably one of the most theatrical forms of performing arts in the world. Mao Zedong, the founding father of the People’s Republic of China, is perhaps the most famous historical figure in all of modern Chinese history. He was the revolutionary force that turned China into one of the biggest communist nations in the world. Try to do as much as you can when you visit Beijing. Your first time here is a once-in-a-lifetime experience so you should make the most out of it!